Building 9, which is currently under construction, is the crown jewel at Sayward Hill. 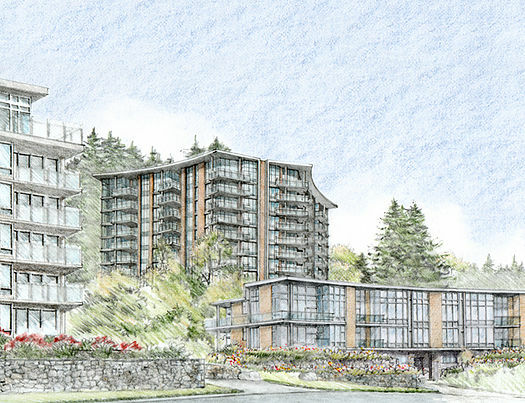 As the final building in the Sayward Hill comprehensive development, it is located at the top of the hill and promises to become a beacon for the entire site. The sweeping gull-wing design ensures that all six suites on each of its eight storeys enjoy the spectacular ocean, mountain, and valley views. The penthouses are designed with internal lifts for private access to roof top terraces that capture western sun and views.